Udon is often served hot in a mildly flavoured broth topped with thinly chopped scallions. Other common toppings include tempura fritter, or deep-fried tofu pockets. A thin slice of fish cake is added. I like eating it dried with chilly and soya sauce. I add in ogonori (a light and delicate seaweed sold preserved in salt. 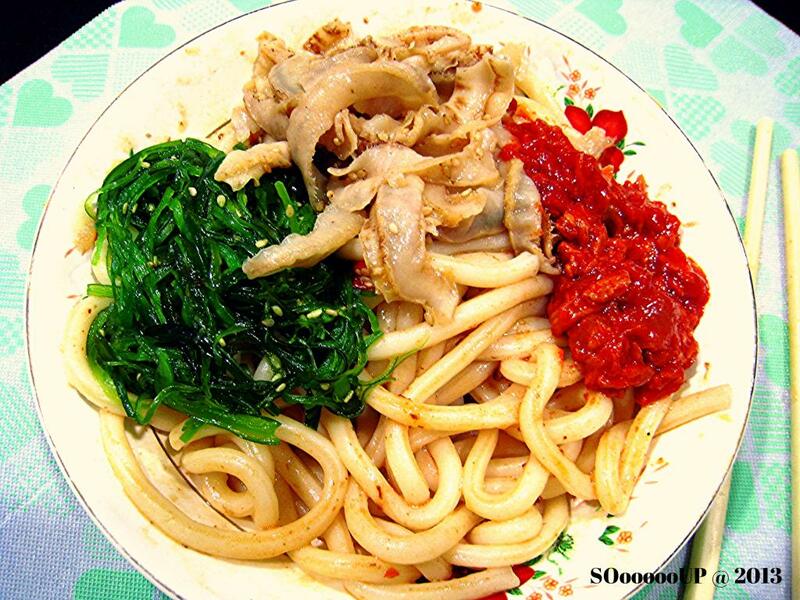 This seaweed is normally eaten cold), whelk meat together with dried shrimp chilly paste and tomatoes pasta sauce. Add in a dash of sesame oil and light soya sauce to bring out the flavor of the whole dish.